While there are some indications that growing numbers of students, who are better informed and more empowered than ever, are applying directly to foreign educational institutions - a trend that we should all encourage because it enables colleagues from admitting institutions to exercise more control over the application process - Vietnam, like most sending countries, is still very much an agent-driven market. This unattributed yet meaningful saying applies in equal measure to recruiters and the education agents they choose to work with. As it is practiced by most education agents, traditional commission-based recruitment is a broken model because most companies treat partner institutions as clients not students and parents. 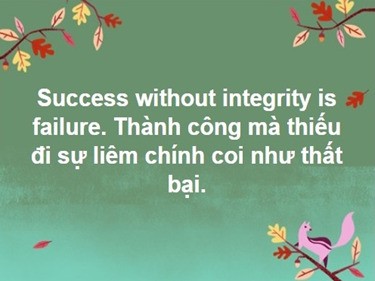 In a 2014 University World News essay [article], I discussed some of the challenges still prevalent in the education industry in Vietnam, such as fraudulent transcripts and financial documents, misrepresentation, and other forms of corruption. Unethical business practices amongst education agents still exist because of the fixation on short-term profit over long-term trust and reputation, which can lead to unethical corner cutting, and the lack of oversight. The onus is on you to make the best of a suboptimal situation by choosing carefully and holding your agents accountable. Here is my advice for an effective approach to working with education agents. Embrace quality over quantity in choosing education agents. Cast a narrow net that includes reputable companies with offices in more than one location, especially in the major markets. Apply rigorous screening criteria and use your own best judgement, including intuition, a valuable yet underestimated quality. Do prospective agents treat students and parents as clients or do they limit their academic options by favoring partners? What is their fee structure? Do they double-dip by taking a fee and a commission? Do they counsel or script students when it comes to visa interview preparation, in the case of the United States? What do colleagues have to say about company A, B, or C? Don’t rely solely on external “stamps of approval,” which are limited in value for a host of reasons, including the (in)ability to monitor the activities of “certified” agents. Hold your education agents to high standards and consistently keep the lines of communication open. Staff and other resources permitting, maintain direct contact with all applicants. Trust, if you have a reason to, but always verify. Use the tried-and-true carrot and stick approach. Business is based on trust, which is inextricably linked to relationships, performance, and integrity. If they don’t meet your expectations, terminate the agreement and look elsewhere. Finally, don’t put too many of your international student recruitment eggs in the education agent basket, especially in competitive markets like Vietnam. You will also need to invest considerable time and money in noncommission-based recruitment tools and techniques that have the best chance of success for your institution and its unique profile. Dr. Mark Ashwill is the cofounder and managing director of Capstone Vietnam, a full-service educational consulting company with offices in Hanoi and Ho Chi Minh City, Vietnam. Prior to his work with Capstone, Dr. Ashwill served as the country director of the Institute of International Education-Vietnam. He has lived and worked in Vietnam since 2005. He blogs at An International Educator in Vietnam. Disclaimer: The views and opinions expressed in this blog are those of the author and do not necessarily reflect the official policy or position of NAFSA.